Home Nutrition and Diet Does Green Tea have Caffeine? You won’t find many more popular drinks around the world than green tea. It has so many health benefits, and it tastes great, too! Green tea is rich in antioxidants, but you still may be understandably worried about how much caffeine it has. Caffeine can lead to health issues like heart palpitations and high blood pressure, so it’s vital to understand green tea’s potential caffeine levels. It is sometimes stated that green tea is naturally free of caffeine, but actually it does have caffeine in it. The exact amount contained in your green tea will depend on what type of green tea it is. 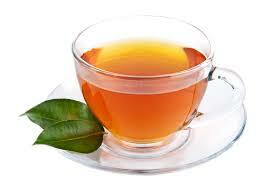 Some green teas have just 15 mg of caffeine in a cup, but some have 75 mg in the same sized cup. In fact, some Matcha green tea types may have even more caffeine per cup than 75 mg.
How can Caffeine in Green Tea be Reduced? Consume teas made from the twigs or stems of green tea plants. A couple options are Kukicha and Houjicha tea. Both of these types have lower amounts of caffeine. Drink green tea that isn’t grown in the shade. Matcha and Gyokuro teas are shade-grown varieties and their caffeine levels are higher. The reason that teas grown in the shade have more caffeine is not widely known. It’s due to the fact that shade-grown tea responds to any sunlight by increasing their chlorophyll levels and the levels of other types of chemical compounds, and this includes caffeine. Here’s a no-brainer. 🙂 Select decaffeinated (decaf) green tea. They aren’t truly caffeine-FREE, but their levels are much lower than other types of tea. Don’t drink green tea in powdered form. These teas are suspensions, rather than infusions. That means you’re actually consuming the leaf, and not just an infusion of the leaf contents. And that method has more caffeine. Don’t drink tea made from tips of buds. These parts of the green tea plant have higher caffeine levels than leaves, which are simply more mature. Shincha and other teas harvested in the spring often have higher caffeine levels than teas like Bancha, which are harvested later in the year. Use a whole-leaf form of green tea. Tea bags generally have higher caffeine levels than loose-leaf teas. Use blends of green teas. For example, a 50/50 blend of lemongrass or mint and green tea usually has only half the caffeine of 100% green tea. Brew your tea properly. If you steep your tea bags for more than a few minutes in boiling water it will increase the amount of caffeine you take in. Use water that is just simmering, not boiling, and only steep the bags for about half a minute.